South Africa’s apartheid regime deliberately designed cities to divide communities, creating a legacy of poverty, racial fragmentation, and criminal behaviour. 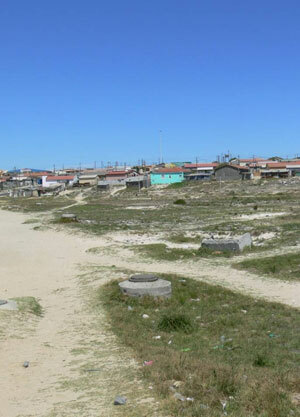 Cape Town is no different from other South African cities, and the impacts of apartheid’s legacy are apparent in Khayelitsha, a Cape Town settlement where only 52 percent of residents are “economically active.” Furthermore, the town must deal with a challenging environmental and planning legacy: In locating the settlement on the Cape Flats sand dunes, barely above the water table and in a winter wetland, the apartheid regime shaped a community around water detention ponds. For most of the year they laid vacant and were well-suited to criminal behaviour. Studies have found a relationship between crime and unemployment. High levels of unemployment result in high levels of crime. It therefore follows that with almost half the community employed, crime will be high.